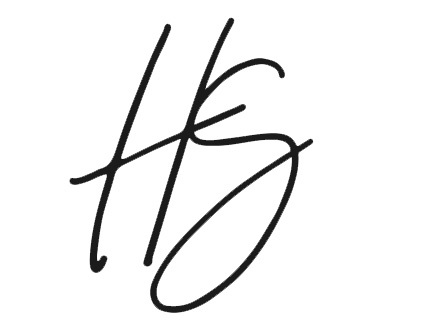 If you follow me over on Instagram (and if you don't, come and say hey!) then you may have seen me posting about The Body Shop for the past few months. I have been working with The Body Shop since September as part of their #SquadWithADifference and I can honestly say it has been an absolute treat to work alongside this amazing brand so far. 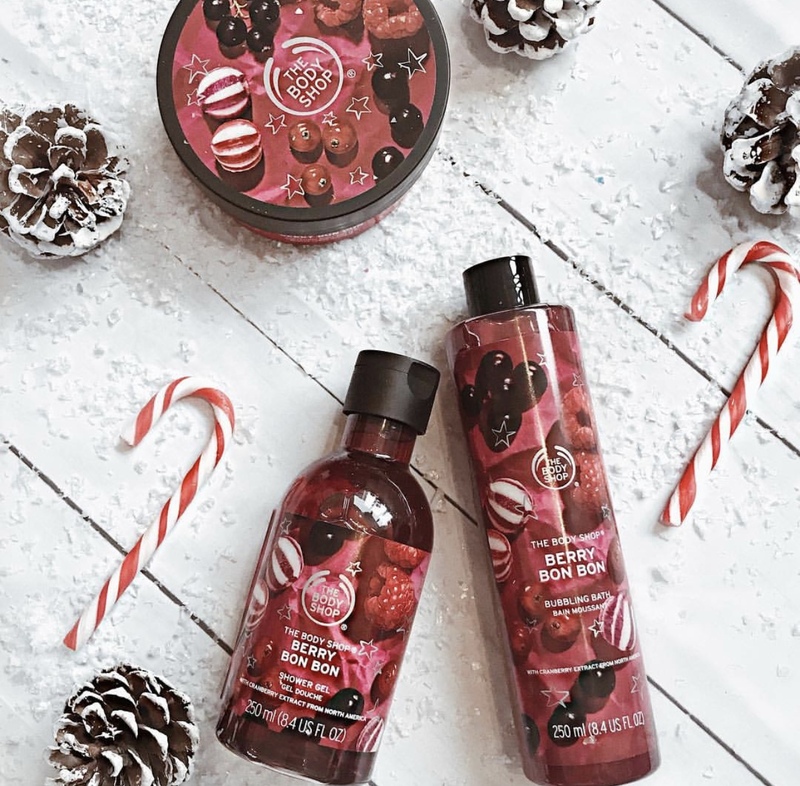 I have always been a huge fan of The Body Shop and especially their Christmas gifting range, I've been receiving it literally since high school. 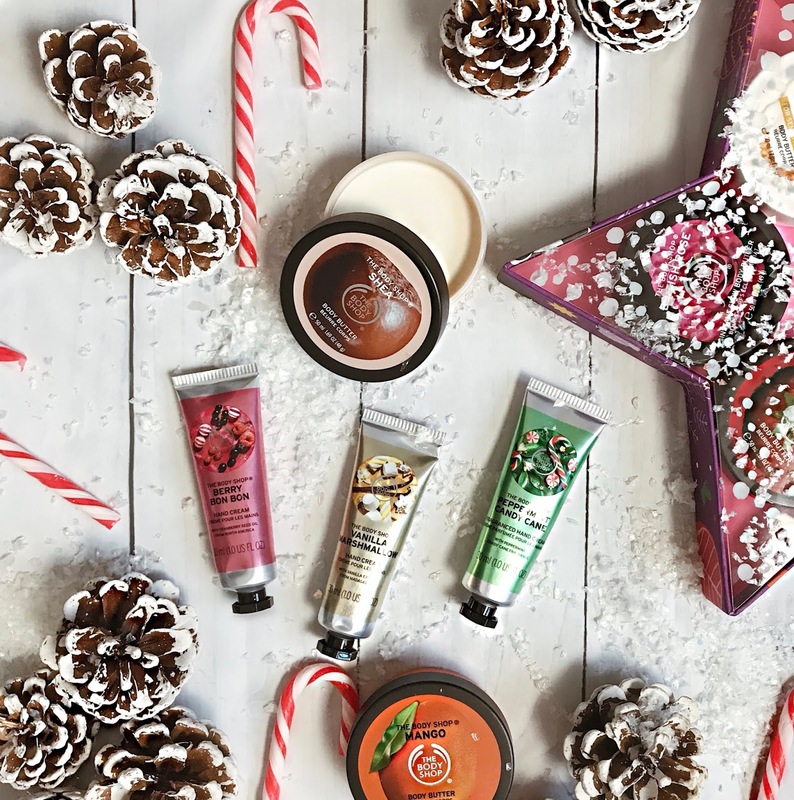 This month I was super lucky to receive some of their Christmas ranges and give them a go. They have brought out three new Christmas scents this year, Berry Bon Bon (my fave), Vanilla Marshmallow and Peppermint Candy Cane. Absolutely amazing scents alongside with some amazing gift sets, check them out here. 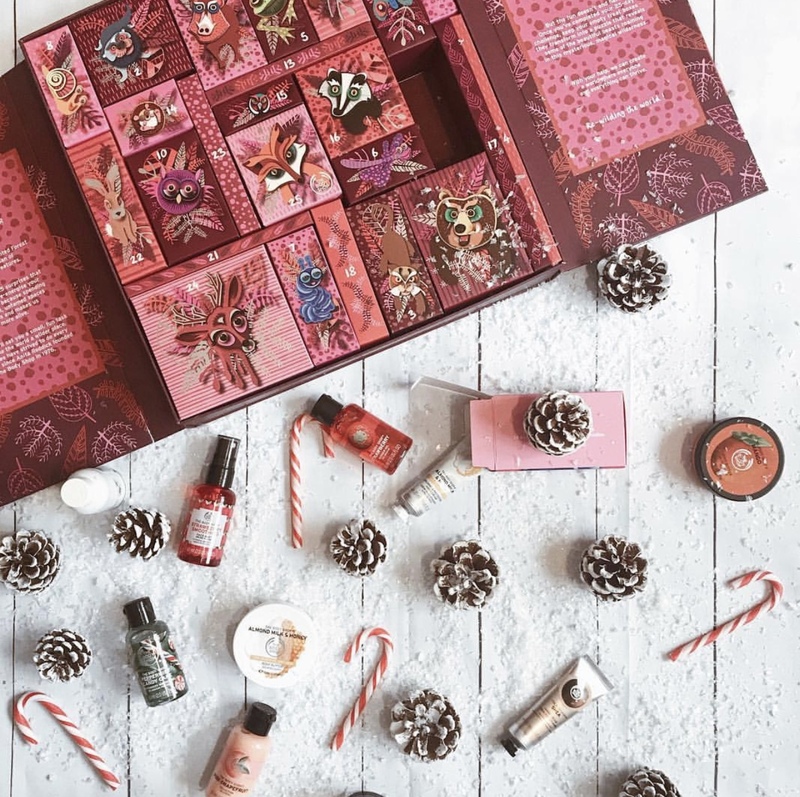 I also got a sneak peek into the 25 days of enchanted deluxe advent calender which is such amazing value for money. This calendar costs £65 but has the value of £121, which is amazing value for an advent calendar, especially with so many products. They're also super helpful for stocking up on mini's for your holidays (and full sizes too!). As always The Body Shop is 100% cruelty free, which is a necessity. This year on each box of the advent calendar they have added little tips and tricks of ways which you can help create a better environment for our wildlife and do your part for making this world a better place. My favourite gift set this year is the trio hand cream set which has a hand cream in each of the new Christmas scents. I am a sucker for hand creams, literally obsessed, especially in winter. This gift retails for £15.00 which is an amazing stocking filler. Click here to check it out. They also have some great mens gifts as well, which are perfect if like me you are unsure what to get the guys in your life for Christmas.